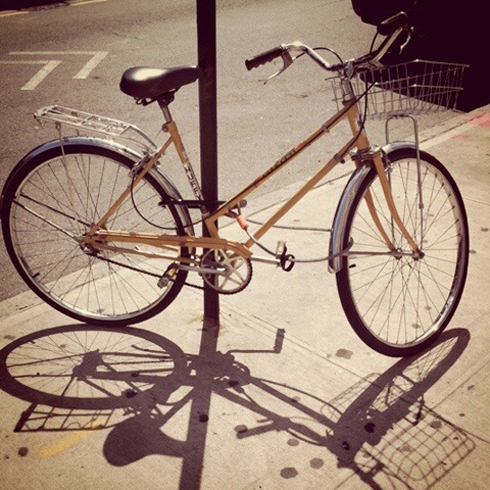 friday was such an exciting day… i got a new (to me) bike! ahhh…. the freedom to whiz around the neighborhood. what was a 15 minute walk is now a 3 minute ride. and in my new neighborhood, pretty much everything is a 15 minute walk away, so this is gonna be fab! here’s what’s even better: the bike is a Huffy, just like the first bike i got when i was seven. it’s mustard yellow, instead of pink (good), and has some shiny upgrades in the form of a basket.